Today I did a really quick easy smokey eye using two products. 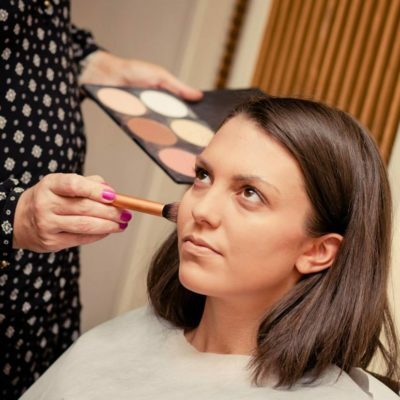 Ask any makeup artist the most common look they are asked to do and they will usually say a smokey eye. 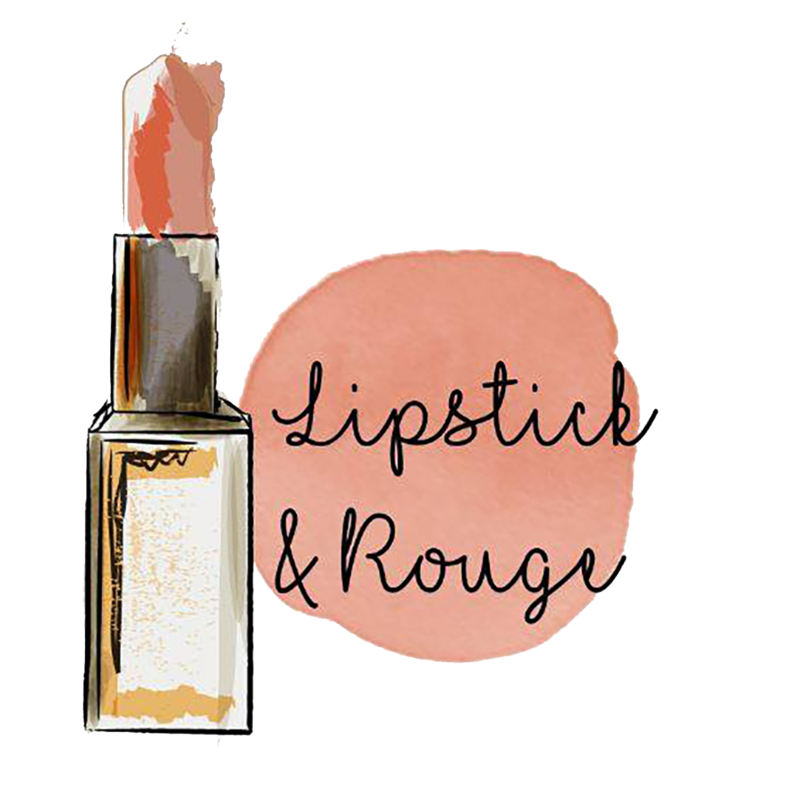 I think women think it’s a difficult look to achieve but it doesn’t have to be hard! I’ve done a couple of video tutorials on this look before (you can see them here) but what I wanted to say is that the term smokey eye refers to the technique, it doesn’t refer to a particular colour or type of product. What is important is that the colour is the darkest and most intense at the lash line and then the colour fades out, ‘smokes out’ as it were. This is the repeated on the bottom lash line and below too. 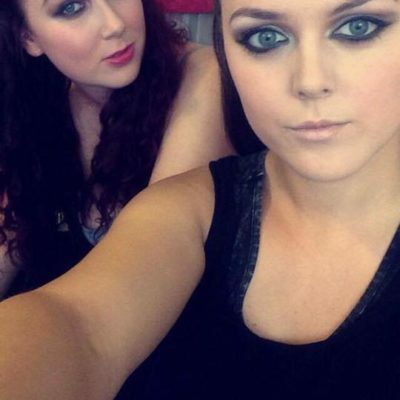 So if you want to create a really easy and quick smokey eye then you could do like I did today and use two products. Yep, just two! 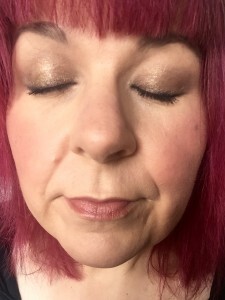 I used a cream eye shadow in a lovely bronze shade with a metallic sparkle from Younique called Tenacious, you can get it here. I also chose to use a kohl pencil in a deep plum shade which was the Mally pencil in Deep Violet. I apologise for the rubbish selfies, I live in an old Victorian house so I have to go in the bathroom to get any kind of natural light to get pictures! To be fair I am not particularly great or confident at selfies anyway. So what I did was put my usual base on and then took concealer under my eyes, then actually onto the lid and right up to my browbone. I then dusted some yellow toned loose powder over this to lighten and brighten the area (I didn’t get much sleep last night!). 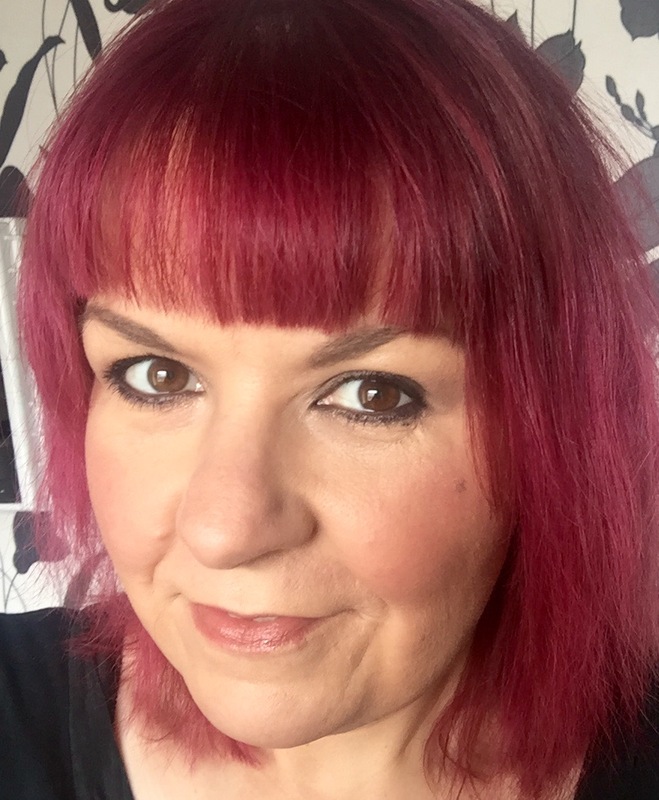 I then took a synthetic eye shadow brush and patted the cream shadow onto my mobile lid putting more product on the outer corner of my lid so it looked stronger there. I then used my ring finger to pat and push the shadow up to my crease. 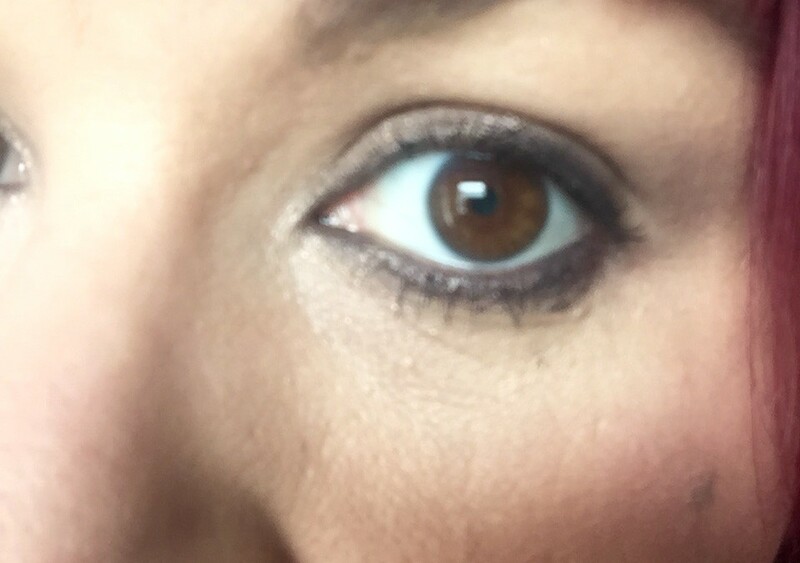 I then took the plum kohl pencil and tight lined and water lined my eyes with it. Then I put some on the upper and lower lash lines. I smudged this out a little bit with a small detail type brush. Two coats of mascara and that was it, the look was done. All Done In 5 Minutes! 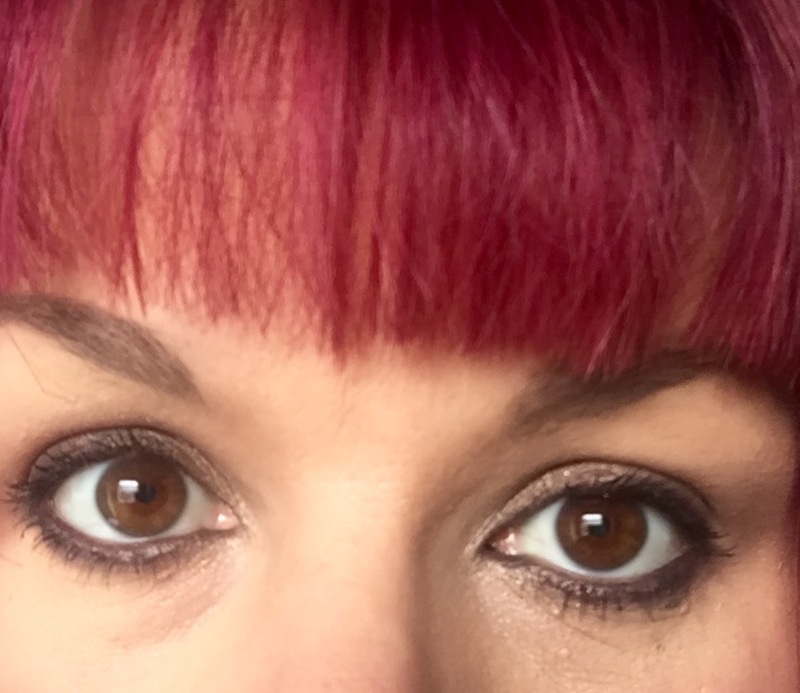 It took 5 minutes including mascara and I chose to leave my brows untouched as I wanted the focus to be on the pretty shadow and the unusual colour combination of the bronze and plum tones. My choice of colours would suit any eye colour and skin tone so have a go and let me know what you think and how you get on in the comment box below.